The Rite Aid Web Accessibility Agreement was negotiated by Lainey Feingold and co-counsel Linda Dardarian using Structured Negotiations on behalf of the American Council of the Blind (ACB), the American Foundation for the Blind (AFB), and the California Council of the Blind (CCB). In this agreement, Rite Aid committed to upgrade its website to comply with the Web Content Accessibility Guidelines (WCAG) promulgated by the Web Accessibility Initiative (WAI) of the World Wide Web Consortium. The agreement specifically states that if there is a visual “Captcha” on the Rite Aid web site, there will also be an alternative security measure that is equally effective and usable by blind and visually-impaired users. At the time this web accessibility agreement was negotiated, these parties also negotiated a Rite Aid Point of Sale Agreement to ensure that devices in over 5,000 Rite Aid stores have tactile keypads so that a blind customer can independently enter his or her PIN. On May 1, 2008, the parties issues the Rite Aid press release announcing both agreements. This Settlement Agreement re: riteaid.com (this “Agreement”) is made as of March 31, 2008 (its “Effective Date”), by and between American Council of the Blind, American Foundation for the Blind, and California Council of the Blind (collectively the “Organizations”) and Rite Aid Corporation (“Rite Aid”). The Organizations and Rite Aid are referred to in this Agreement as the “Parties.” This Agreement operates in conjunction with its Confidential Addendum also executed by the Parties as of the same date. In or about June 2005, the Organizations contacted Rite Aid raising concerns about Rite Aid’s website, riteaid.com. On June 15, 2005, the Parties entered into a Structured Negotiations Agreement. Thereafter, the Parties have had a series of discussions regarding the concerns raised by the Organizations. As a result of those discussions, the Parties have agreed to enter into this Agreement and its Confidential Addendum. In the negotiation and drafting of this Agreement, the Organizations have been represented by Linda M. Dardarian of Goldstein, Demchak, Baller, Borgen & Dardarian and Lainey Feingold of the Law Office of Lainey Feingold (the “Organizations’ Counsel”) and Rite Aid has been represented by Jeffrey D. Wohl of Paul, Hastings, Janofsky & Walker LLP. By entering into this Agreement, Rite Aid does not make any admission of noncompliance or liability to the Organizations or any other person or entity under any law with respect to riteaid.com. Rite Aid denies that riteaid.com as currently configured is not in compliance with any applicable law. 1. Standard for Website Accessibility. As used in this Agreement, “WCAG” means the Web Content Accessibility Guidelines promulgated by the Web Accessibility Initiative of the World Wide Web Consortium (“W3C”). As of the Effective Date, the current and applicable version of the WCAG is version 1.0 (“WCAG 1.0”). If, during the term of this Agreement, the W3C finally adopts WCAG version 2.0 (“WCAG 2.0”), Rite Aid will have the option of complying with either WCAG 1.0 or WCAG 2.0 to the extent that compliance with WCAG 1.0 is required by this Agreement. Rite Aid will continue to use best efforts to ensure that all pages of riteaid.com substantially comply with Conformance Level AA of WCAG 1.0 by December 31, 2007, and that all pages of riteaidhealthsolutions.com, which may be accessed via a link on riteaid.com, substantially comply with Conformance Level AA of WCAG 1.0 by February 29, 2008. (Unless the context indicates otherwise, all references to “riteaid.com” in this Agreement below also include riteaidhealthsolutions.com.) The Parties acknowledge that some WCAG Conformance Level AA requirements (Priority One or Two of WCAG 1.0) address features or design elements that may not be used on riteaid.com, and in such circumstances compliance with those checkpoints will not be required. The Parties acknowledge that certain content on riteaid.com incorporates visual security measures (“CAPTCHAs”) that may not be in full compliance with WCAG 1.0. As to that content, Rite Aid will make best efforts to incorporate alternative security measures that are equally effective and usable by blind and visually-impaired users without impairing, in any respect, the security provided by its current CAPTCHAs. The Organizations have tested and approved the CAPTCHA in use on riteaid.com as of the Effective Date. If, after the Effective Date of this Agreement, Rite Aid wishes to incorporate a new or different CAPTCHA (“Alternative CAPTCHA”), Rite Aid will provide an opportunity for representatives of the Organizations to test the Alternative CAPTCHA to ensure that it is effective and usable by blind or visually impaired users. To the extent it does not pose an undue burden on Rite Aid, this opportunity will be provided prior to the date that the Alternative CAPTCHA is incorporated into riteaid.com; otherwise, it will be provided reasonably soon after the Alternative CAPTCHA is incorporated into riteaid.com. During any period when an Alternative CAPTCHA is in use on riteaid.com but has not been made available to the Organizations for testing, Rite Aid will post a telephone number on the same page as the Alternative CAPTCHA at which assistance will be available to users with visual impairments in the event of accessibility or usability problems. Rite Aid will consider in good faith all feedback provided by the Organizations’ representatives regarding the effectiveness and usability of the Alternative CAPTCHA. If the Organizations bring to Rite Aid’s attention that Third-Party Content on riteaid.com is not in substantial compliance with Conformance Level AA of WCAG 1.0, Rite Aid will provide contact information about the vendor of the Third-Party Content to the Organizations so that the Organizations may contact the vendor to discuss that issue directly with the vendor. Rite Aid also will notify the vendor as soon as possible that a complaint regarding accessibility of the vendor’s Third-Party Content has been received. Rite Aid also will make good-faith efforts to promote adherence by the vendor with Conformance Level AA of WCAG 1.0 as soon as possible and in any event at the next contractual opportunity. Rite Aid will include compliance with WCAG 1.0 as a criterion in all requests for proposals and vendor contracts with respect to riteaid.com content or links issued on or after the Effective Date of this Agreement, but Rite Aid is not obligated to require adherence as a condition of a contract. Rite Aid will make good-faith efforts to consider and select vendors who can satisfy this criterion. If a vendor selected by Rite Aid to provide content on, or a link to its own website through, riteaid.com informs Rite Aid that it does not comply with WCAG 1.0, Rite Aid will provide the Organizations with that vendor’s content or link appearing on riteaid.com and the vendor’s contact information. Rite Aid currently is in a long-term contract with Drugstore.com, expiring on June 17, 2009, to provide certain on-line services to persons visiting riteaid.com. Drugstore.com is not owned or operated by Rite Aid, and Rite Aid represents that it with limited exceptions pertaining to use of the Rite Aid trademarks and references to Rite Aid competitors, it does not control what appears on Drugstore.com’s website. As soon as practicable after the Effective Date, Rite Aid will make a good-faith effort to arrange and participate in a meeting between the Organizations’ representatives and Drugstore.com to discuss concerns about Drugstore.com’s website and what is needed for Drugstore.com to bring its website into compliance with Conformance Level AA of WCAG 1.0 to the extent it is not already in compliance. By not later than nine months after Rite Aid’s current contract with Drugstore.com expires, Rite Aid will comply with section 2 above with respect to riteaid.com’s on-line prescription drug ordering and refill functionality, whether or not that content is provided directly by Drugstore.com, another vendor, or Rite Aid itself. As of the Effective Date, and continuing at least until Rite Aid’s on-line prescription ordering and refill functionality are in substantial compliance with WCAG 1.0, and provided that Drugstore.com gives its prior consent which Rite Aid will seek in good faith, Rite Aid will post a notice on the “Refill Now” page of riteaid.com providing information and toll-free telephone numbers for customers (i) to order prescriptions through their local Rite Aid stores if those stores provide mail-delivery or home-delivery of prescriptions; and (ii) to order prescriptions through Drugstore.com’s toll-free Customer Care number, 1-800-drugstore or 1-800-378-4786. The Organizations will notify Rite Aid in writing when they believe that there is content on riteaid.com that does not substantially comply with Conformance Level AA of WCAG 1.0. Within forty-five (45) days of receiving written notice of any alleged instances of non-compliance, Rite Aid will respond in writing to the notice. Within twenty (20) days of receipt of the response to the notice, the Parties will confer by telephone in an attempt to informally resolve the issue. If the issue remains unresolved, within thirty (30) days of the last telephone conference, Rite Aid will engage a mutually agreed-upon web consultant to provide an opinion on the issue. Based on the consultant’s opinion, Rite Aid may (i) adhere to the opinion, if favorable to Rite Aid, in which case the Organizations may contest the opinion by means of the dispute resolution procedures set forth in section 8 below; (ii) adhere to the opinion and remedy the instance of non-compliance, which it will do within a reasonable time frame after receiving the opinion; or (iii) contest the opinion (including any timeframe for remedy proposed by the consultant) by means of the dispute resolution procedures set forth in section 8 below. No breach of contract claims related to Rite Aid’s obligations under this Agreement may be maintained by persons who are not Parties to this Agreement. As part of its ongoing efforts to better serve its customers with disabilities, Rite Aid has worked with American Council of the Blind, American Foundation for the Blind, and California Council of the Blind to improve the accessibility of riteaid.com by visitors who are blind or visually impaired. Questions or comments should be directed to rawebsite@riteaid.com. 7. Right to Seek Modification. Rite Aid may seek to modify the sections of this Agreement relating to web accessibility if Rite Aid reasonably believes that complying with those sections will fundamentally alter the nature of the services offered by riteaid.com or result in an “undue burden” (i.e., significant difficulty or expense) within the meaning of 42 U.S.C. section 12182(iii) and 28 C.F.R. sections 36.104 and 36.303. In determining whether an action would result in an undue burden within the meaning of these authorities, factors to be considered include those set forth in 28 C.F.R. section 36.104, part III-4.3600 of the Technical Assistance Manual, and any other regulations/interpretative guidance issued by or on behalf of the United States Department of Justice. If Rite Aid wishes to modify the Agreement, it will send to the Organizations a Notice of Proposed Modification pursuant to section 7.a. above. If within sixty (60) days after their receipt of Rite Aid’s Notice of Proposed Modification the Organizations do not agree with Notice, the matter will be resolved pursuant to section 8 below. Rite Aid’s delivery of Notice of Proposed Modification to Claimants will suspend Rite Aid’s performance of its obligations under that portion of this Agreement addressed in the Notice until the matter is agreed to as provided in this section 7 or resolved pursuant to the dispute resolution procedures under section 8 below. Any such suspension will not constitute a breach of such section; provided, however, that such suspension will not excuse Rite Aid’s performance during the suspension period of all other portions of the Agreement not affected by the suspension. In the event of (i) a claim by one or more of the Parties that one or more of the other Parties are in breach of this Agreement; (ii) a Notice of Proposed Modification by Rite Aid not agreed to by the Organizations; or (iii) any other dispute between the Parties over the construction, application, or modification of this Agreement, the Party or Parties alleging breach, or Rite Aid in seeking the modification, or any Party engaged in the dispute, will provide written notice of its position to the other Party or Parties. Such Notice will include the following information: (i) in the event of a claimed breach, the section or term of the Agreement claimed to be breached; (ii) in the event of a proposed modification, the section or term of the Agreement proposed to be modified; and (iii) the grounds for claiming a breach or proposing a modification, including a brief statement of the specific facts, circumstances, and legal arguments supporting the Parties’ position. Within two weeks of the date of the Notice provided for in section 8.a. above, the Parties will engage in a meet-and-confer process to resolve the matter. If mediation fails to resolve the matter, the Parties then will settle the matter finally by means of arbitration conducted by Judicial Arbitration & Mediation Services (“JAMS”) pursuant to its Streamlined Arbitration Rules and Procedures. The Arbitration will take place in San Francisco, California. The arbitrator may award the prevailing party its reasonable attorneys’ fees, expenses, expert witness fees, and other costs pursuant to applicable law. The award of the arbitrator will be enforceable in a court of competent jurisdiction. 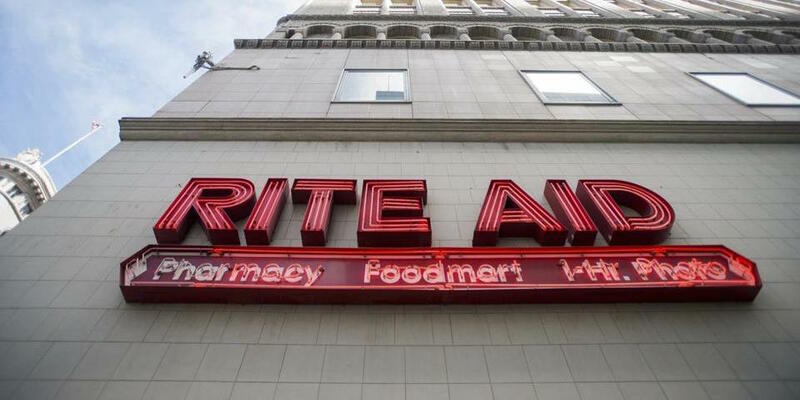 On a mutually agreed upon date, the Organizations and Rite Aid will jointly issue a press release announcing the changes to riteaid.com pursuant to this Agreement. The press release may also reference installation of Next Generation POS Devices pursuant to the Parties’ Settlement Agreement re: Rite Aid POS Devices. If the Parties cannot agree on the terms of the press release or the date of its issuance, the Organizations or Rite Aid may issue separate releases provided that any release will be consistent with the terms of this Agreement, and a copy will be provided to all Parties at lease three days prior to issuance. Rite Aid will not be liable for any failure to perform its obligations under this Agreement if that failure results from any act of God, riot, war, civil unrest, flood, earthquake, or other cause beyond Rite Aid’s reasonable control (including any mechanical, electronic, or communications failure, but excluding failure caused by Rite Aid’s financial condition or negligence). 11. No Use of Agreement as Admission. This Agreement will not be used by the Organizations to establish any claim of legal noncompliance or liability against Rite Aid. Rite Aid’s contractual obligations under this Agreement will expire on June 30, 2010. Nothing in this section will be construed to mean that the Organizations are waiving the right to challenge under applicable law any act or omission with respect to the subject matter of this Agreement that occurs after June 30, 2010. 13. Notice or Communication to Parties. This Agreement (with its Confidential Addendum) sets forth the Parties’ entire agreement regarding its subject matter and supersedes all prior and contemporaneous agreements, understandings, and representations. This Agreement may not be modified except by a writing signed by all Parties affected by the modification or as provided by sections 7 and 8 above. This Agreement will be governed by the law of the State of California. This Agreement may be signed in counterpart with each counterpart forming an original. The Parties hereby execute this Agreement as of its Effective Date to signify their acceptance of it. This document is one of the two legal agreements signed by Rite Aid with of the American Council of the Blind (ACB), the American Foundation for the Blind, and the California Council of the Blind (CCB). Rite Aid agreed to make changes to its website. The changes will make it easier for people with disabilities to use the site. The agreement specifically states that if there is a visual “Captcha” on the Rite Aid web site, there will also be an alternative security measure that blind people can use. Lainey Feingold and Linda Dardarian were the lawyers for the blind community. No lawsuit was filed. Instead, a formal process known as Structured Negotiations was used. When this agreement was signed, Rite Aid signed another document about equipment in their stores. Rite Aid agreed to make changes so blind people could use payment cards and enter their own PIN. Rite Aid agreed to add keys to their payment devices that a person can feel. Every store in the U.S. will have the keypads.